The US officially recognized Jerusalem as the capital of Israel on Monda when a new American embassy was opened. 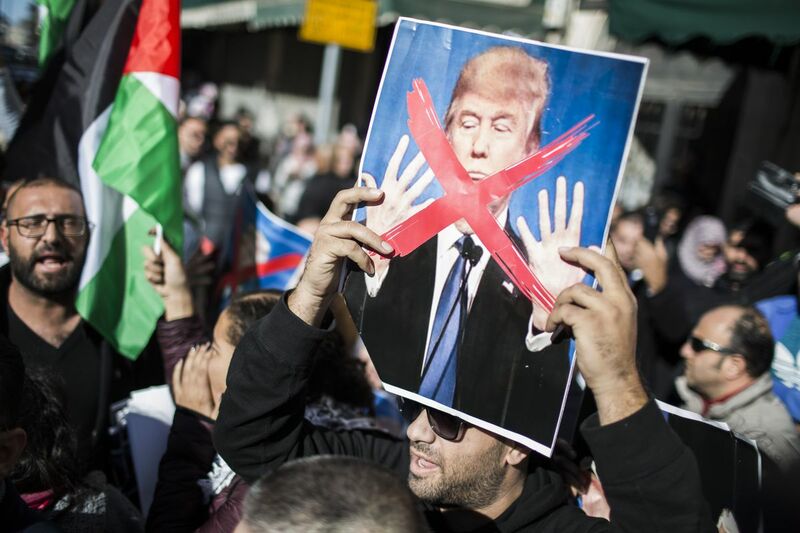 President Trump’s recognition of Jerusalem as Israel’s capital made little sense to most Middle East experts. His own national security team opposed the decision. But for many white evangelical Christians, 81 percent of whom voted for Trump, it was great news. I don’t fully understand why evangelical Christians are so supportive of Israel. Can you walk me through it? First, we should remember that “evangelical” is a really broad term. In a most general sense, evangelicals are people who believe in the absolute authority of the Bible, in salvation through Jesus, and in the need to spread the gospel. People who identify as evangelicals internalize those three things to different levels, and so in the same way we talk about cultural Catholics, we can also talk about cultural evangelicals. So I would really focus here on a subset of the evangelical community for whom the status of Israel is really, really important because of the way they understand the end of time. And how large is that subset? So politics is a means to what they see as a religious goal? Yes. This is a movement in Christianity that’s as old as Christianity itself. You have this group of people looking around for signs of the end time, and in the 20th century when Israel was founded, this was seen as a major sign. This was electrifying for that community because the gathering of all the Jews in exile to the Holy Land is a prerequisite for all of these events unfolding. So for the subset of evangelicals in the 20th century, support for Israel became a really, really important political position. Why is Jerusalem in particular so crucial? Well, the whole area is important. The tenet of Christian Zionism is that God’s promise of the Holy Land to the Jews is eternal. It’s not just something in antiquity. When we talk about the Holy Land, God’s promise of the Holy Land, we’re talking about real estate on both sides of the Jordan River. So the sense of a greater Israel and expansionism is really important to this community. Jerusalem is just central to that. It’s viewed as a historical and biblical capital. How do people on the Israel side justify their alliance with fundamentalist Christians? After all, the Christian prophecy implies the destruction of Jews who don’t convert. There’s something that these Christians have in common with religious Zionists in Israel. The founding generation in Israel was fairly secular. Their support for a Jewish state wasn’t about biblical prophecy. It was about physical security. David Ben-Gurion [the first prime minister of Israel] came up with an accommodation for the religious community so they would support the formation of Israel and the establishment of Israel, but his motivations weren’t religious per se. But religious Jews were always unhappy that the founding generation wasn’t really motivated by a religious understanding of the Jewish people in the world. That’s something that evangelicals in this country share. They support Israel for religious reasons, not secular reasons. But orthodox Jews don’t share the evangelical conception of hell, which includes literal lakes of fire, right? No. Jewish people have their own theology of the end times. There is an understanding that the Messiah will come, but it won’t be a second coming of the sort Christians believe in. But the state of Israel has welcomed the political support of evangelical Christians nevertheless. They even encourage Christians to visit Israel, to tour the holy sites. So this is an alliance based on political expedience? I think that’s basically right. 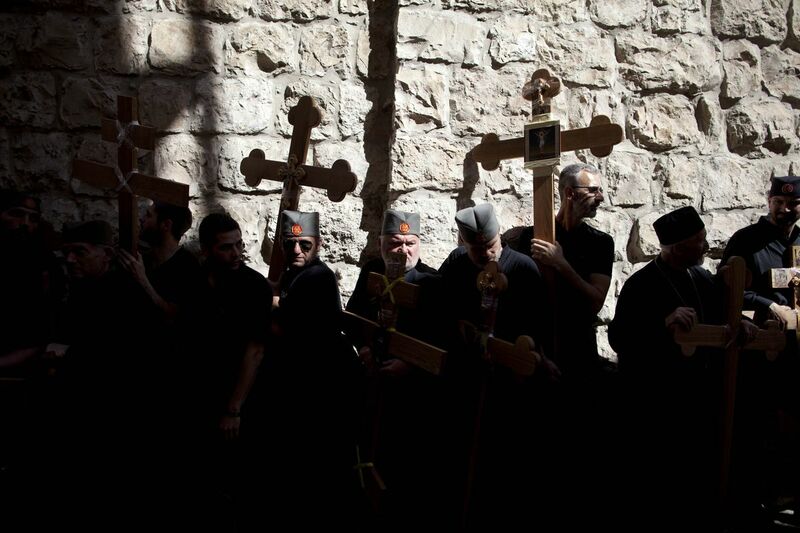 How do Arab and Israeli Christians feel about all this? I’m less sure about that. We’re talking about a relatively small community here. I haven’t seen poll data, and I haven’t studied Arab Christians who are Israeli citizens to a great degree, but they tend not to be of the evangelical variety. End times prophecies aren’t especially important to them. Do you think this political gamble will pay off for Trump? I think it depends, first, on how long this process takes. It could just fade away to the background. Second, and this is really key, it depends upon whether or not the administration down the road is willing to say, “Okay, East Jerusalem can be controlled by Palestinian Arabs, and West Jerusalem will be controlled by Israel.” If the administration plans for a united Jerusalem under the sovereignty of Israel, that will be pretty problematic for the peace process. So it depends upon whether they’ll concede to divided control. And do you think this move made political sense for Trump at home? Yes, I do. I’m not sure it’s good for the Republican Party in the long run, but I do think it maintains the support of high-profile evangelical leaders, such as Jerry Falwell Jr. and Robert Jeffress. That will be key as the president’s support drops among other groups. In other words, this contributes to a floor below which Trump’s support cannot drop.